Scratch that; I love 2004 Rachael Ray. She was a lot happier back then. Don’t get me wrong, she is still kind of cheerful but she just isn’t as happy as when she had less fame and money. My mom actually got me hooked on Rachael back in the day when Food Network was new to us. Maybe we never said PSHAW. But we did think she was the bee’s knees. I just said bee’s knees. Somewhere in Heaven, my Grammy is giggling. At watching me grow old. So when I got the chance to get Rachael’s magazine for free a few months ago, I jumped at it. I can definitely see Rachael’s influence on it all. But then I keep seeing these recipes that are just…...well just……I don’t know…..too much? I am not a foodie by any means. I will take a can of Chef Boyardee over a chance to eat at a hip eatery. I am not a food snob but rather the opposite. I am a food commoner. If you put it in front of me, I will eat it. It’s grilled cheese, not a nuclear bomb. And thought, I can remake this. And without organic egg yolk or freshly grated Pecorino Romano. Because let us be honest, that crap is expensive. And I am pretty sure you didn’t land on this blog by googling “organic foodie paleo” so I think we are on the same page. The soup recipe was my Gramma’s who is in Heaven now, God bless her soul. She was the best cook then she taught my mom to cook and now she is the best cook. So I am very lucky to have grown up with these two amazing influences. And there is not one heirloom tomato in this recipe. In a large saucepan, combine the flour, sugar and 1/4 C. of the milk. Bring to a boil over medium heat, stirring constantly until thickened. Slowly stir in the tomato juice until blended. Bring up to a low boil and let simmer for a few minutes. 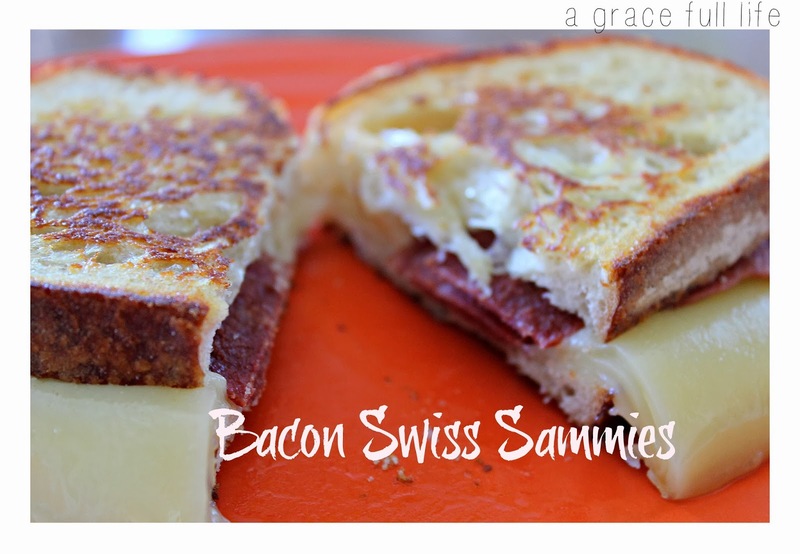 Serve with the following grilled cheese sammies. I had seen a recipe for Baked Potato Grilled Cheese sammies on Pinterest this fall. They had me until they mentioned Potato. Not a fan of a grilled cheese sammie with a potato in it but that’s just food commoner me talking. I am sure it’s good in real life. So I took a hint from that and went another way. Add some oil (I use olive) to a pan and get it warmed up on med heat. Cook it up how you like…I am not picky so will microwave or cook in the oven. After you cook it up, place it on a paper towel to get some of the grease off. Not all of it or it won’t be bacon. Or do like me and eat a piece, chop a piece, repeat. Butter up your crusty bread slices. Assemble the sammies on a plate, bread butter side down, bacon, cheese slices, green onion, cheese, more bacon, bread butter side up. Now cook it up in the pan to get the cheese melted and the bread toasty. Serve with the tomato soup and you have a yummy winter dinner. Oh if you are making this for a crowd, do what I do for my family: bake the grilled cheese in the oven! Do all of the above but preheat the oven to 400 first. Bake for 7 minutes, flip and bake 7 minutes more. As for the Caesar Salad Steak Sammie recipe, I decided to do a little different spin but much easier than Rachael’s recipe with fewer ingredients. AND I made it into a salad. Just grill your favorite cut of steak. Get a Caesar Salad bag kit from the store. In large saucepan, combine the flour, sugar and 1/4 c. of the milk. Stir until smooth then add remaining milk. Bring to a boil over medium heat until thickened. 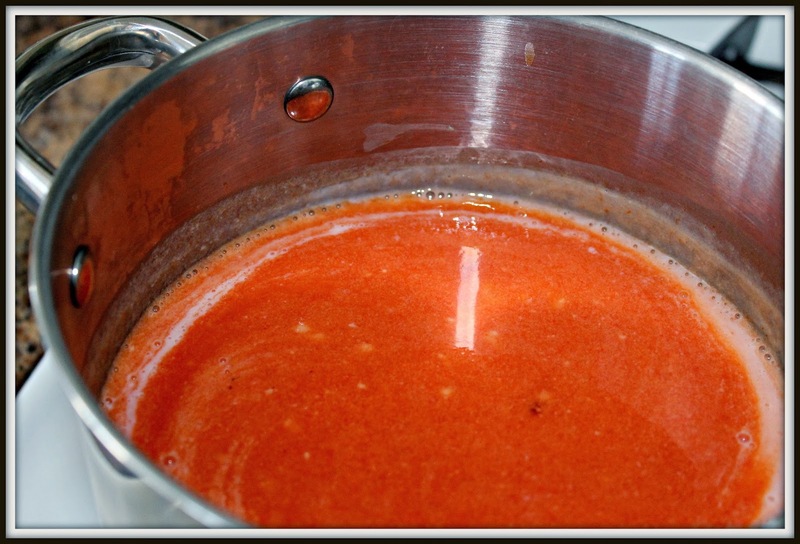 Slowly stir in tomato juice until blended. Bring up to a low boil and let simmer for a few minutes. This makes me giggle bc a) everything you write makes me giggle and also smile inside my heart. I love people who are what they are. And 2) I am making up a. Month of meals for an eat at home month challenge in February. Half of the recipes I am using are "inspired" by RRs book "My year in meals" except on every one I'm like, annnnd omit these 17 ingredients..
For the fried egg and hamburger grilled cheese ALONE. But for many other reasons too. I'll be by at noon for lunch. I'll expect this to be served. Hee-hee. Just don't forget to bring Reeses with you. The dog not the candy. "YUMMMMM-O!!!!" lol I thought it was appropriate for your post! 😉 I LOVE her myself, I keep every magazine I have of hers! Then again, I am obsessed with anything/anyone foodnetwork related lol! Have you made her Parmesan Crusted Tilapia? So weird you just posted this because I just did one on the parm tilapia! I'm def gng to have to try this tomato soup! 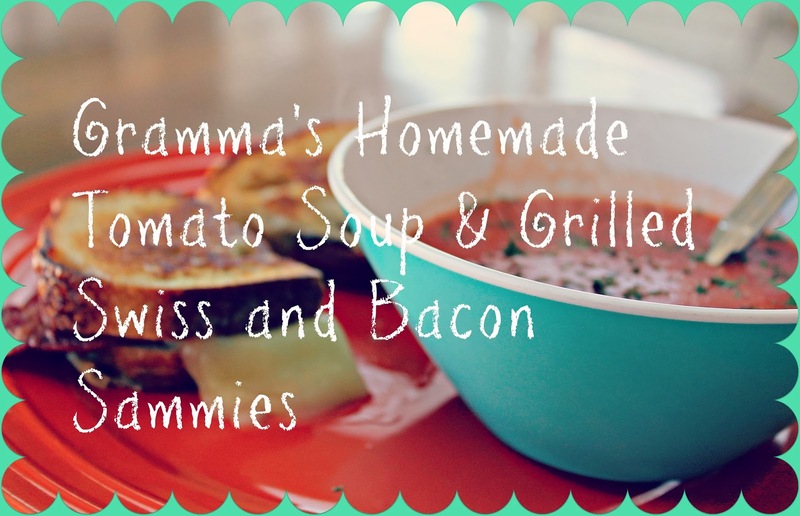 Nothing like a good bowl of tomato soup & grilled cheese! This sounds so amazing! I am adding it to our menu this coming week! Thank you for sharing! This post is definitely making me hungry! 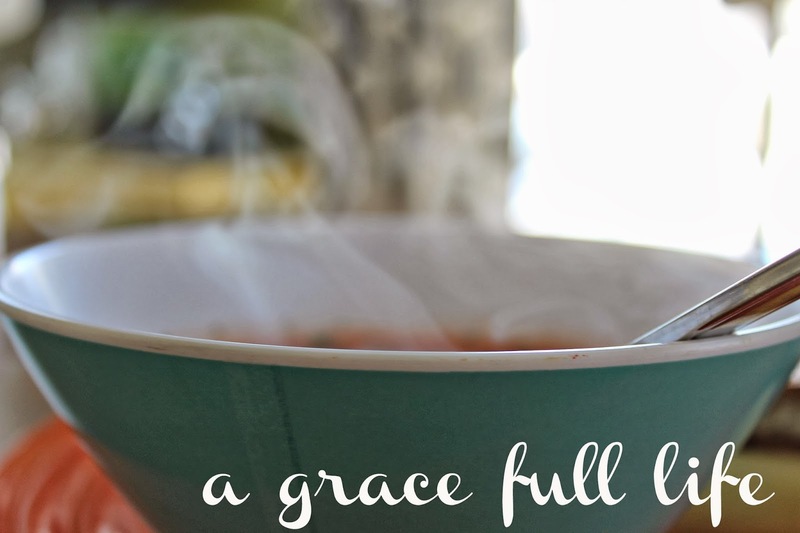 Thanks so much for linking up with us this week for Maker’s Mix-Up! And now I want bacon….